Actor Matthew Perry, known for his role as Chandler Bing in Friends, Just listed his Hollywood Hills home for $13.5 million, according to press materials. He bought the three-bedroom, five-bathroom residence in 2011 through a trust for $8.65 million, according to property records. Situated in the Bird Streets, the modern abode opens to a 10,628-square-foot expansive living area encased by glass walls. The master suite, featuring a walk-in closet, a luxurious bathroom, and custom built-ins, offers access to the outdoor area. In addition to the three bedrooms, another room, which would be suitable as a gym or office, has its own bathroom. 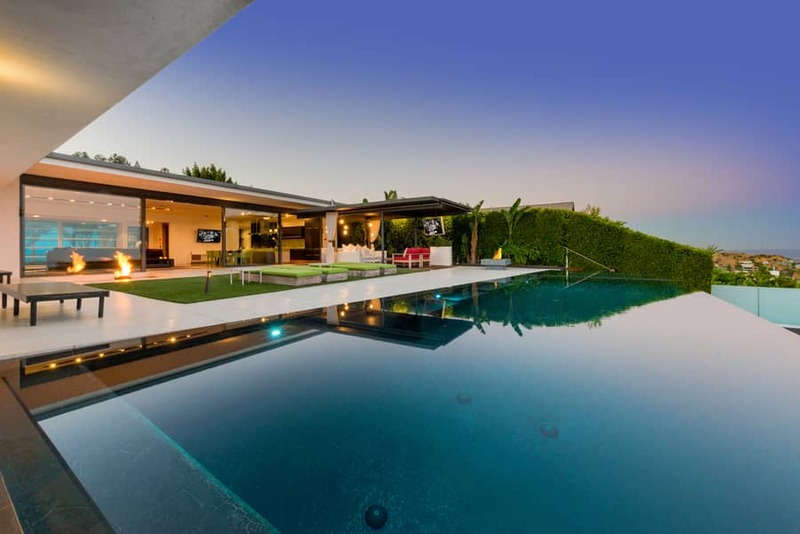 The home offers views from Downtown L.A., to Century City and the ocean. The listing at 9010 Hopen Place is held by Greg Holcomb and Cassandra Petersen of Partners Trust.